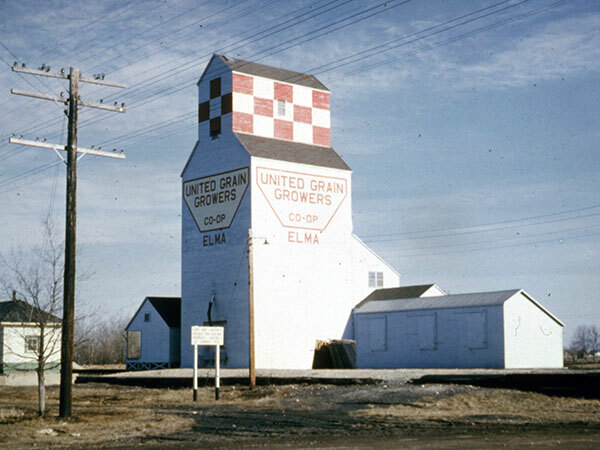 A 40,000-bushel wooden grain elevator at Elma, on the CNR Minaki Subdivision in the Rural Municipality of Whitemouth, was constructed in 1950 by the Canadian Consolidated Grain Company and sold to United Grain Growers in 1959. 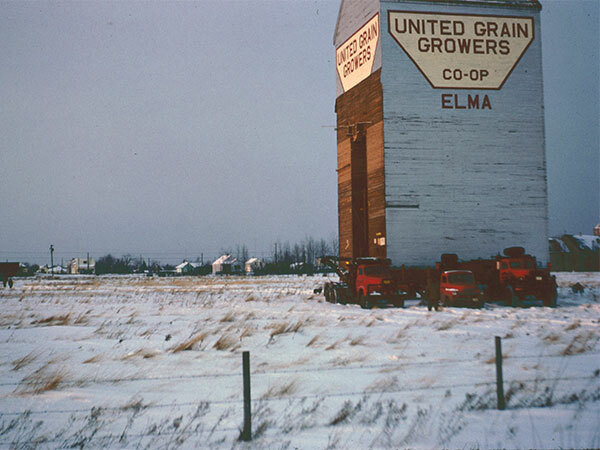 Described by UGG as being “from the beginning a low volume grain point,” it was closed in March 1964 and moved to Whitemouth where it was converted into an annex for an elevator that had also been bought in 1959 from Canadian Consolidated. 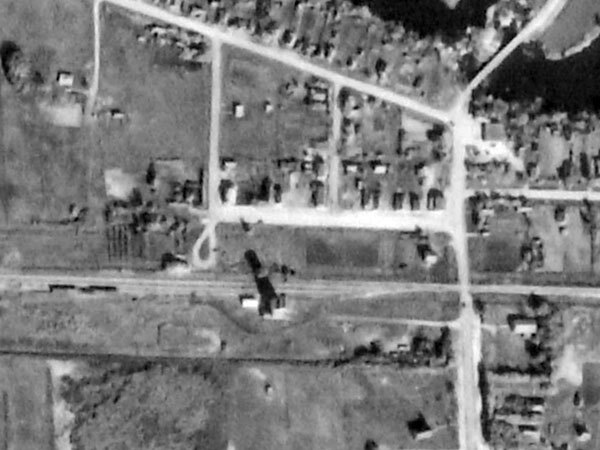 The facility was closed in July 1979 and later demolished. Source: Manitoba Air Photo Library, A15545-187. This page was prepared by Gordon Goldsborough and Denis Sabourin (Sabourin Geomatics Ltd.).